There’s a lot of ways to customize your window blinds base on your needs and specifications. 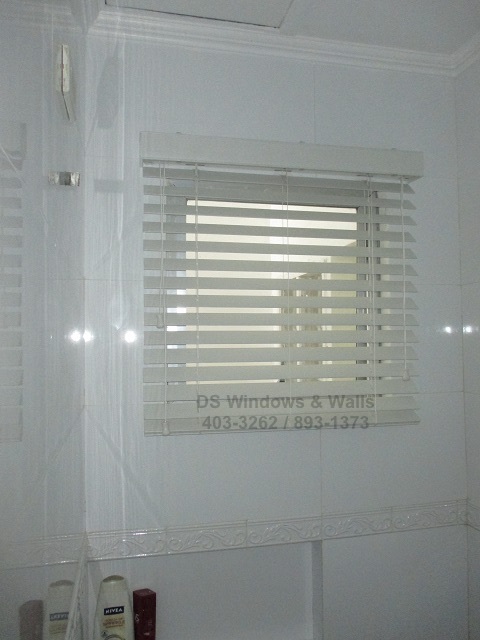 Different types of blinds are easily available in the market today, there’s ready-made and made to order blinds offered in lots of various color and pattern to choose from. Made to order blinds like what we offer give you the authority to decide whether your blinds will hang inside or outside the window casing. Choosing the mount position is very important, but most of the time the customer doesn’t realize its significance and sometimes only the blinds company representatives enlighten the buyers the difference between inside and outside mounting. When buying window blinds its best to determine whether to mount them within your window opening or above the window on your wall, although both options can block the light and reduce energy costs a vast majority of the people preferred inside mounting blinds. 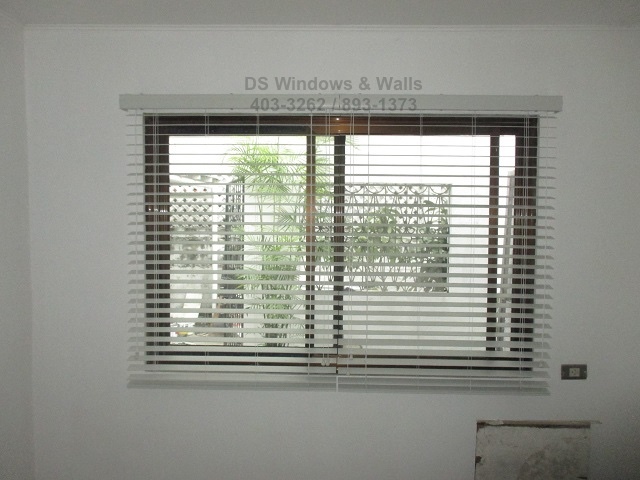 Shallow window depth outside mounted white wood blinds. Inside mounted blinds creates a more refined, neater and cleaner look and help to give emphasis to your window casing. On the other hand inside mounted blinds needs a correct window depth base of your blind choice. 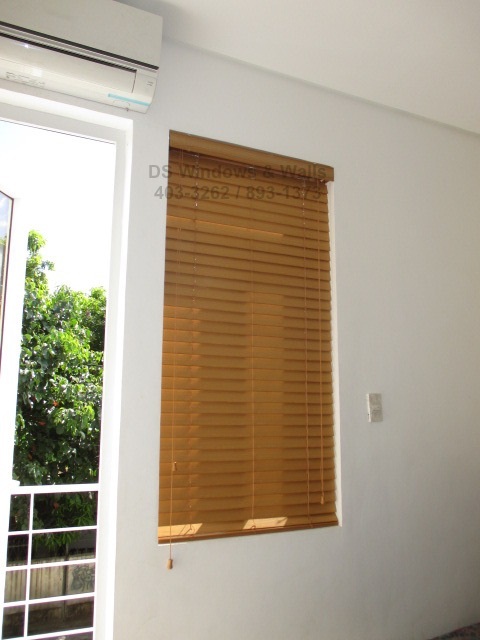 Like for wood blinds (same as faux wood blinds) the correct window depth must be at least 2.5 inches or much better for fully recessed blinds there should be a 3 inches space as you can see in the first and second photos. Nevertheless, there’s a lot of circumstances that inside mount cannot be done like for example there is an obstruction inside the window frame or your window depth is too shallow to install the blinds. 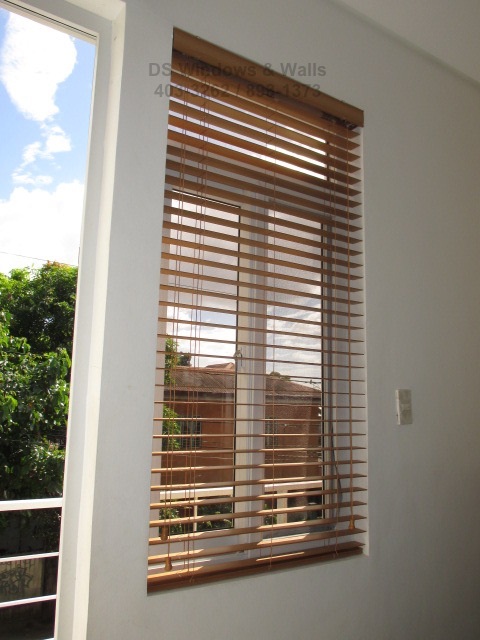 The only possible solution is to hang your wood blinds outside of the window casing and generally cover the entire window which is called the outside mounting as the third and fourth pictures show. Knowing your window depth and the mechanism thickness of your ideal blinds can help you to distinguish if it’s possible to install the blinds inside the window case since each window blinds also have different mechanism size. For more inquiries please call us at (02) 893-1373 / (02) 403-3262 / (02) 668-9668 / 0916-311-3909 or visit our showroom at 2nd level Pacific Mall Lucena City, 3rd level Robinsons Metro East, Pasig City and 4th level Waltermart, Makati City.